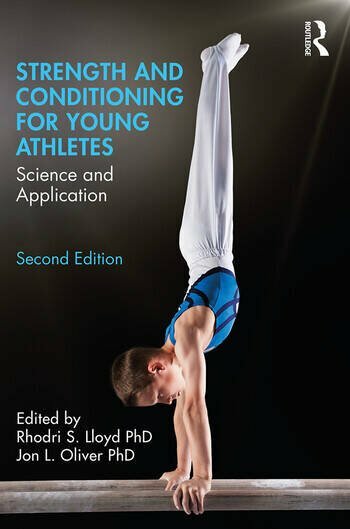 Strength and Conditioning for Young Athletes: Science and Application offers an evidence-based introduction to the theory and practice of strength and conditioning for young athletes. Fully revised and updated, this second edition draws upon leading research to offer an holistic approach to training centred on the concept of long-term athletic development and the welfare of the young athlete. Written by a team of leading international strength and conditioning experts and paediatric sport scientists, the book includes expanded practical guidelines in every chapter to show how the latest scientific research can be applied by coaches to optimize young athletic potential. Including sample training programmes and exercises throughout, this is an essential resource for all students of strength and conditioning or paediatric exercise science, as well as any coach and athletic trainer working with children and young people. Rhodri S. Lloyd is a Reader in Paediatric Strength and Conditioning and Chair of the Youth Physical Development Centre at Cardiff Metropolitan University, UK. His research interests surround the impact of growth and maturation on long-term athletic development and the neuromuscular mechanisms underpinning training adaptations in youth. He is a senior associate editor for the Journal of Strength and Conditioning Research and an associate editor for the Strength and Conditioning Journal. In 2016, he received the Strength and Conditioning Coach of the Year award for Research and Education from the UK Strength and Conditioning Association (UKSCA) and in 2017 was awarded the Terry J. Housh Outstanding Young Investigator of the Year award from the National Strength and Conditioning Association (NSCA). Jon L. Oliver is a Reader in Applied Paediatric Exercise Science at Cardiff Metropolitan University, UK and co-founder of the Youth Physical Development Centre. He is also an Adjunct Professor at the Sports Performance Research Institute New Zealand and Strength and Conditioning Research Lead for the Welsh Institute of Performance Science. He has been at the fore of challenging old and developing new models of youth athlete development as well as contributing to contemporary national and international position and expert statements on training youth. This has been supported by experimental research examining how growth and maturation interact with the development of physical fitness, responsiveness to training, injury risk, overtraining and the health and wellbeing of young athletes.